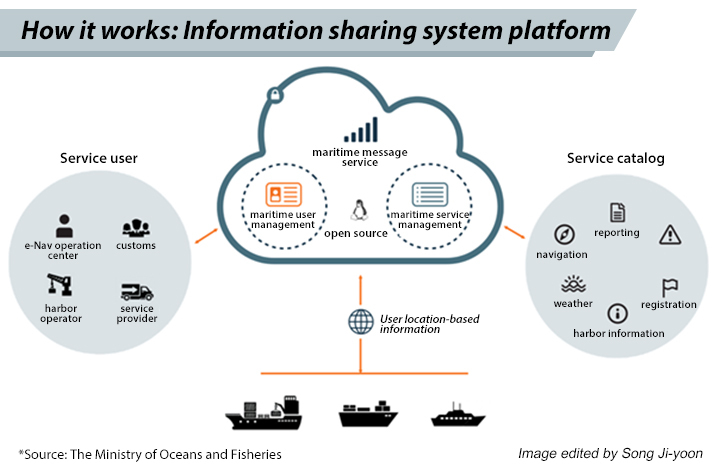 South Korea`s Ministry of Oceans and Fisheries said it tested out cloud-based navigation and communications system with the help of its Danish counterpart at a coast off southern port city Busan as a joint project to develop globally-recognized maritime digital communications standard. The test co-administered with Denmark`s Maritime Authority was designed to evaluate the performance of e-navigation and the maritime cloud, an international information sharing system, to enable continuous and reliable exchanges between ships and safety agencies through satellites, LTE and other communication means. Such communication so far has been mostly done through analog devices, creating communications limits depending on the ship`s nationality and communication devices used. The introduction of e-navigation and the maritime cloud will help overcome these constraints and deliver standardized navigation safety information in a fast and correct manner, according to the ministry. The latest test validated a process of stable data transmission from a Korean agency to a Danish vessel with an LTE-maritime feature which spans up to 100 kilometers for a wireless data service. South Korea launched a project to develop a Korean version of e-navigation in 2014 and subsequently signed partnership agreements with Denmark and Sweden to jointly develop a global standard in the international information sharing system. Korean and Danish researchers succeeded in using the maritime cloud to relay real-time navigation safety information to South Korean vessels late last year.